Turmeric, a superfood, is one of the most effective nutritional supplements in existence. It has numerous bioactive compounds that add to the medicinal benefits to this Indian spice. The compound curcumin in Turmeric helps in promoting health properties. This compound is also useful in attaining a flat belly and weight loss. Curcumin helps in preventing fat accumulation and inflammation. It increases thermogenesis in the body and supports diet-related weight loss efforts. White adipose tissues store fat for later use as energy. Now, this tissue undergoes browning process to become an energy liberating source than a fat storing one. Curcumin thus helps in the browning process of these tissues. According to studies, Curcumin directly interacts with adipocytes, pancreatic cells, hepatic stellate cells, macrophages, and muscle cells. Turmeric also helps prevent metabolic disorders like obesity which further helps in preventing chronic ailments related to heart, kidney, liver etc. 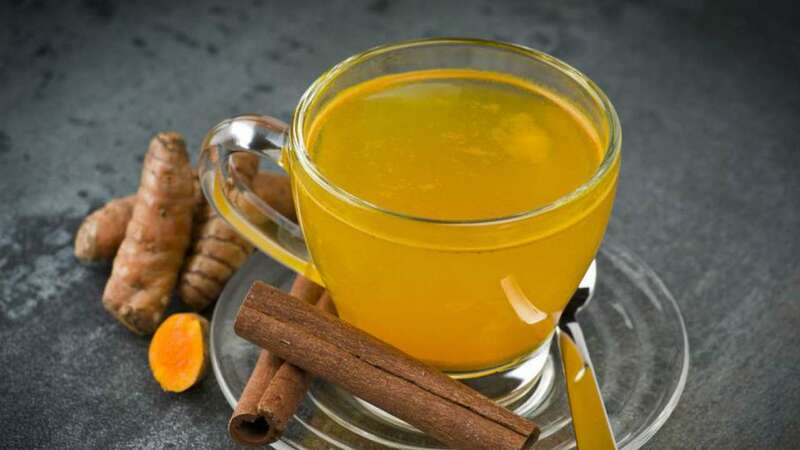 Turmeric tea is the perfect natural solution for your weight-related issues. This amazing tea has loads of antioxidants and anti-inflammatory properties that will warm you up. Besides the general intake of turmeric through curry, turmeric tea is the easiest way of getting your daily dose of turmeric. 1. Heat a cup of water in a saucepan. 3. Let the water come to a boil. 4. Once it comes to a boil, immediately reduce the heat and let it simmer for 5-10 minutes. 5. Strain it before drinking and lemon, honey to taste.